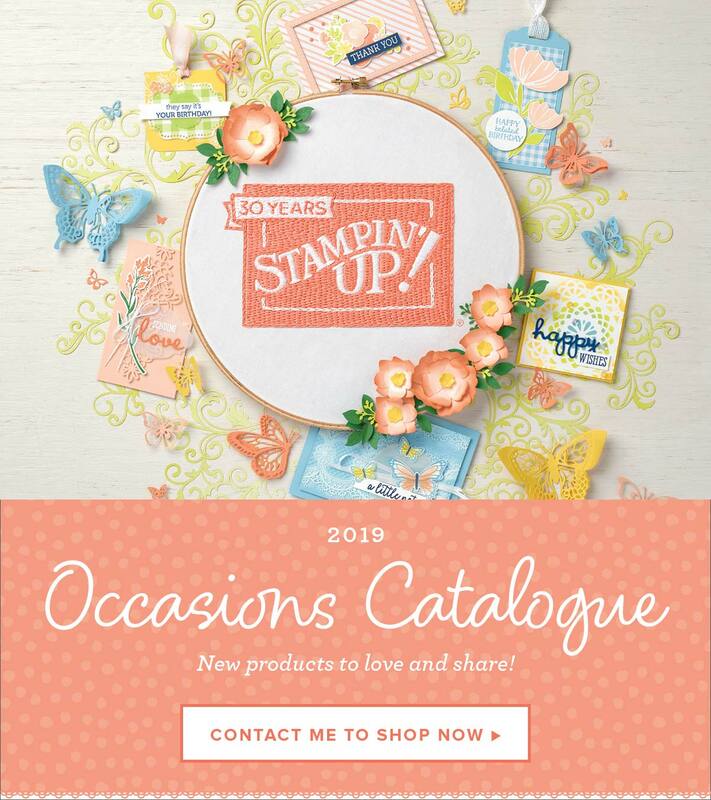 Stampin’ Up!® Demonstrator Karen Robinson | Just a note to Lift Me Up! Today I’m playing along with two different challenges using the gorgeous Lift Me Up! Bundle. Challenges are a great way to get inspiration and can really encourage you get outside your creative comfort zone and try new things. I’m using the layout from CAS(E) this Sketch! CTS#221 and the colours from Paper Players PP334. I love the layout and the colours, but boy, was this card oh so difficult to get out of my head and into reality. To create the background I did a watercolour wash in Dapper Denim and Smoky Slate on Watercolour Paper and stamped the clouds from Sprinkles of Life onto the lower part in Smoky Slate. I used post-it notes to mask off my clouds to help me create a layered effect and have one cloud punched out and popped up for my largest balloon to rise behind. I hope you like today’s cheerful little card and will have a go at the challenges yourself, they’re lots of fun and a great way to fire up your creativity with all their inspiration. Next Post Sneak Peeks from Stampin’ Up! Love your hot air balloons Karen, and the inside of your card is as beautiful as the outside! So glad you joined us this week at The Paper Players! Fabulous card! The balloons are amazing in the sky. Thank you for sharing your card with the Paper Players! Wonderful take on the sketch! I love how the hot-air balloons are above the clouds!